THANK YOU TO EVERYONE WHO ATTENDED OUR 2018 EVENT! Come celebrate our 30th Anniversary as we bring Colorado Artfest back to Historic Downtown Castle Rock at the beautiful Festival Park and along Perry Street between 2nd/South Streets! Art is alive and kicking in Castle Rock, Colorado! The 29th Annual Colorado Artfest is just around the corner! There will be live music, art, food trucks, a beer garden, kid's zone brought to you by Edge – The Service Company, an interactive art tent brought to you by Bellco Credit Union, and more! Join us September 8 and 9 at the Outlets at Castle Rock in the East parking lot. Brought to you by Sky Ridge Medical Center, Outlets at Castle Rock, and Castle Rock Chamber. 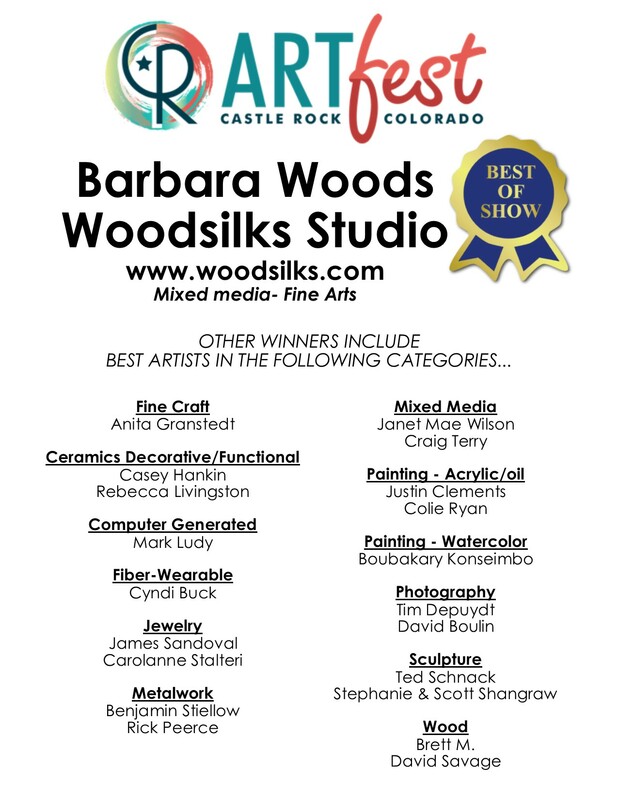 Join us the weekend after Labor Day, the Castle Rock Chamber of Commerce hosts a juried fine arts show with artists from across the country. Castle Rock provides the perfect canvas for the 30th Annual Colorado Artfest, which has become a summertime tradition for residents and art enthusiasts alike. Enjoy continual live main stage entertainment featuring popular musicians, interactive exhibits for the kids, savor fabulous food/beverages and so much more! View more details below. This two day event is held in the parking lots of the Outlets at Castle Rock. Delight in the artistic impressions of more than 145 Artists from across the country. Continual live main stage entertainment, featuring popular musicians, will provide a complimentary backdrop to this year’s program. There’s a multitude of opportunities to appreciate – and purchase – art during this weekend of visual inspiration. Enjoy continual live main stage entertainment, featuring popular musicians, that provide a complimentary backdrop to this year’s program along with strolling entertainers, and the Artfest Store where you can purchase commemorative Artfest prints (while supplies last). Artfest Merchandise and Chamber Beverage Booth Proceeds of the event benefit the Community Art Fund. Help keep Castle Rock alive with vibrant public art. The Community Art Fund was created by the Castle Rock Chamber of Commerce as a legacy for the Castle Rock Artfest. Proceeds donated are to fund outdoor community public art in Castle Rock. Thank you for supporting local art in our community! Have an entertainment group or band? Contact Danielle to apply. Please sign up at https://www.zapplication.org/ to be notified when our 2019 event opens. The other day a stranger looking at my watercolors said, “You must love nature!” I couldn’t think of a better compliment of my work, nor one that better describes why I paint. This love has been a part of me for as long as I can remember. As a kid, long hikes around our Colorado ranch turned into marvelous adventures, always leaving me with an even greater desire to explore creation. My dad, a sculptor, and my mom, an inspirational admirer of beauty, often pointed out nature’s wonders so that we could celebrate them together. Whether it be the pattern of lichen on jagged rocks, the spots on an Aspen’s trunk, or the swirl of the wind, I became aware at an early age that these were gifts waiting to be received. When majoring in Fine Art, I dabbled in all kinds of media and began to develop skills that later allowed me to express what really moved me and made me tick. After receiving my BA in Fine Art from Westmont College in Santa Barbara, I taught elementary art for three years in Eagle Colorado before taking a three-month sabbatical on the Navajo Reservation. 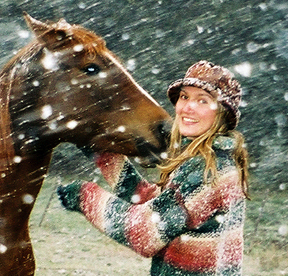 It was in the desert that I began to truly rediscover my love of nature and its value to me as a person and artist. Before I knew it, three months in Arizona became three years. I ended up living on both the Navajo and Hopi reservations, painting, teaching and becoming a student of the land and the friends I made there. The Navajo’s and Hopi’s respect for art, nature and the Creator drove me to recognize and honor my own ties to creation and creativity. During this time I was also working on a Master’s degree in Psychology, which ideally allowed me to study how art can help connect our souls with creation and God. When I came back to Colorado in 2001, I was eager to paint images, thoughts and feelings gathered from the mountains I call home. I cannot begin to explain all I have learned from painting nature. After several failed watercolor attempts, my first successful paintings ended up being of wildflowers. My preliminary portrayals of flowers were fairly realistic renderings of the plants, with little attention to their personalities. But the more I painted flowers the more I fell in love with them, and I began painting not just what my eyes saw in front of me, but what my heart felt. I am not sure when or how this break-through happened, but it has since transferred to all my nature-portraits. Whether I’m painting a blooming cactus, a child, a feather or a mountain, I paint not only how the object looks, but also what it says to me. On the days I am not painting, I still prefer to be out wandering the countryside around our ranch. Sometimes I am lucky enough to have my nieces with me. To me, children are constant reminders of the awesomeness of the creative process, and of all that is at stake when we turn our backs on it. They remind me that I must put on my kid-eyes and explore. Come celebrate the wonders with us! 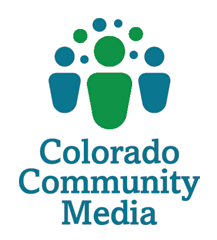 In order to forge a lasting legacy from Artfest, renamed The Colorado Artfest at Castle Rock, The Castle Rock Chamber of Commerce created a Community Art Fund which financially supports and encourages large-scale outdoor public art for the enjoyment of residents and visitors of the town. All public art shown below is supported by the Castle Rock Chamber and proceeds from purchased art are donated to the Castle Rock Public Art Fund for the purpose of acquiring future public art pieces in Castle Rock. 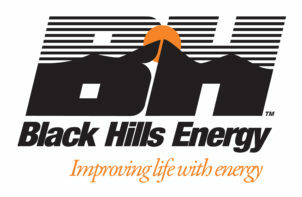 In addition, proceeds from the silent auction at the Colorado Artfest at Castle Rock. 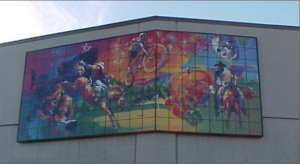 The very first project undertaken by the Fund was the Life of Castle Rock tile mural by artist Malcom Farley which is displayed on the east side of the P.S. Miller Library facing Perry Street. The Castle Rock Chamber is committed to strengthening the cultural community in the region, below are more projects we have supported. Thank you for your support of this worthy cause. Make a Donation today. 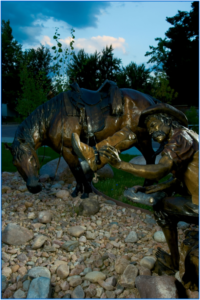 The Castle Rock Chamber, the Castle Rock Public Art Commission and the Douglas County Library again partnered on a project entitled “Cool’n the Dogs.” This life-sized bronze sculpture of a cowboy and his horse, by artist Craig Bergsgaard, is located at the intersection of 5th & Gilbert Streets. 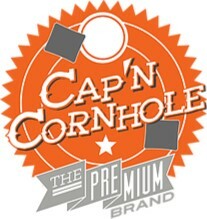 This master piece was designed and crafted by Mr. Bill Hueg of Peacock Studios in Westminster, CO. The Eagle is 14′ tall and has a wingspan of 8′. Freedoms Keeper sets atop a 5′ granite pedestal within Veterans Plaza. The entire monument encompasses a 40 x 40 square foot area on the same ground where the original Douglas County Courthouse once stood. 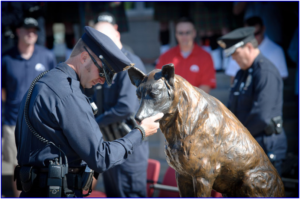 “JAX” by Janene Dirico-Cable is dedicated to all Police Service Dogs for the loyalty, fearlessness and sacrifice they give to their handler, fellow officers and the community. “Jax” served the residents of Castle Rock from 2002-2008 with over 1,900 deployments for missing persons, illegal drugs and defending fellow officers now sits on watch near the Castle Rock Police station. “Jax” was favorite among Castle Rock school children, often visiting schools. After his passing in 2010, Castle Rock Police Department officers began fund raising to memorialize all service dogs. Welcoming all who come to visit the Castle Rock Chamber of Commerce stands “Ryleigh” who enjoys the flowers in the Chamber front yard. 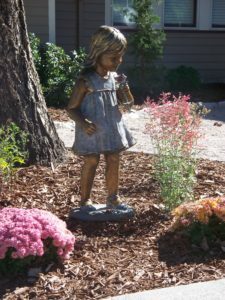 This piece is an original bronze artwork by artist Marianne Caroselli. A new 9/11 Monument dedicated to the spirit of first responders is the result of intensive work by the Castle Rock Chamber’s 2017 Leadership Douglas County class members. 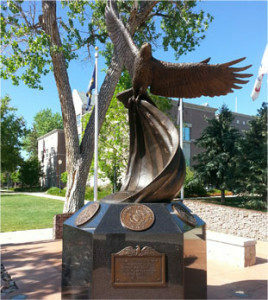 The bulk of the memorial is comprised of a tall, rusted, contorted piece of steel pipe that is a portion of steel from the World Trade Center, which collapsed on September 11, 2001 now rests on a pedestal of locally-quarried rhyolite outside the Castle Rock Fire Department Local 4116 headquarters. The steel was acquired through the generosity of The Counterterrorism Education Learning Lab (The CELL). May we never forget the great evil which occurred—and the heroic actions of so many brave men and women. Food Trucks can apply here- Contact Danielle with questions. Be sure to stop by the Castle Rock Chamber of Commerce booth to purchase commemorative featured Artists Prints. Castle Rock Chamber Artfest Merchandise and Chamber Beverage Booth Proceeds….who receives the benefits? Proceeds of the event benefit the Community Art Fund. Help keep Castle Rock alive with vibrant public art. The Community Art Fund was created by the Castle Rock Chamber of Commerce as a legacy for the Castle Rock Artfest. Proceeds donated are to fund outdoor community public art in Castle Rock.